The quiet and pretty camp site is ideally based for many interesting walks through open countryside via a network of bridleways and footpaths. 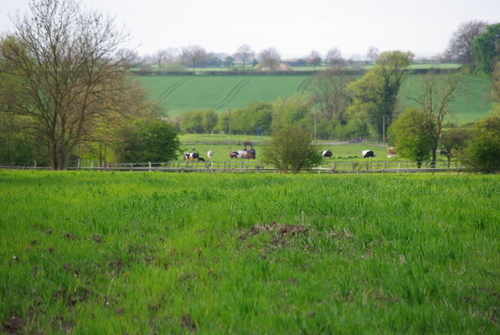 The views from the camp site are of open fields and the rolling hills of the wolds. As the camp site name suggests it is based next to a very quaint church. The church of St Martins and its pretty church yard is a short stroll away. One of the nearest walks is directly adjacent to the camp site and goes from North Owersby to Nettleton and then the Viking way via Caistor top and Rothwell. Nettleton Beck is also not to be missed which runs along the valley between the twin ridges of Caistor top and Nettleton top and some say it is the rival of many. There are many lovely country pubs along the way to stop at! We offer safe and secluded camping with no nearby main roads, which is ideal for families. We have an undercover brick BBQ to use. The site has toilet and shower facilities and also chemical toilet disposal facility and drinking water. Dogs are welcome but must be on leads at all times. There are many activities near by such as horse riding, golf, bike riding, fishing, horse racing and there are many historic shopping centres to visit and enjoy, such as Lincoln. The beaches of Cleethorpes and Mablethorpe are between 30-40 minutes drive. We cater for up to 5 caravans and 10 tents. We are able to hold rallies, if needed.